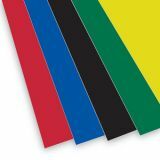 Lightweight and smooth in vibrant colors or bright white, foam board is ideal for a wide variety of display and craft projects. Available in standard 20" x 30" sheets in convenient multi-packs. 3⁄16" thick. 10 sheets per pack. 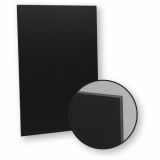 Black polystyrene extruded foam laminated between two sheets of black paper that feature a faint 1/2" grid to form a lightweight but strong and rigid surface. 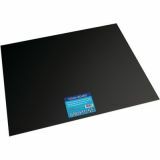 Ideal for crafts, school projects, framing, mounting, displays, posters, and exhibits. Easy-to-cut sheets have a smooth surface, and accept a wide range of media including paints. Sheets are 3⁄16" thick. 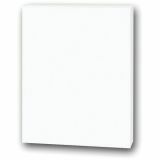 White polystyrene extruded foam laminated between two sheets of white paper that feature a faint 1/2" grid to form a lightweight but strong and rigid surface. Ideal for crafts, school projects, framing, mounting, displays, posters, and exhibits. Easy-to-cut sheets have a smooth surface, and accept a wide range of media including paints. Sheets are 3⁄16" thick. 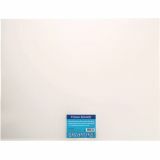 Ghostline® Tri-Fold Foam Board, White, 1/2" Faint Grid, 28" x 22"
The Ghostline® tri-fold foam presentation board features a 1/2" faint grid that makes it easy to line up words, charts or graphs. The grid pattern takes the guess work and measuring out of creating a display, making it easy to create the perfect presentation. It's a great solution for school, home, art and office applications. 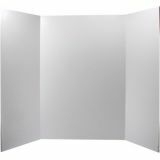 The Ghostline® tri-fold foam presentation board is 28 in. wide by 22 in. high, and folds to 14 in. wide by 22 in. high, so it's easy to carry and take with you wherever you need to go.